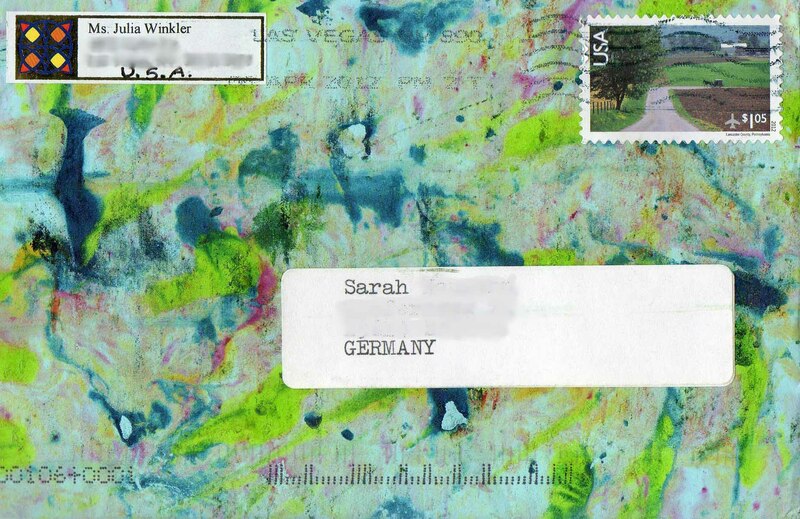 Okay, I know this is getting a little ridicolous… but in my opinion it would be a shame to keep this pretty piece of mail art from you until next year. It’s from Julia Winkler who always sends me such nice and darling mail art. 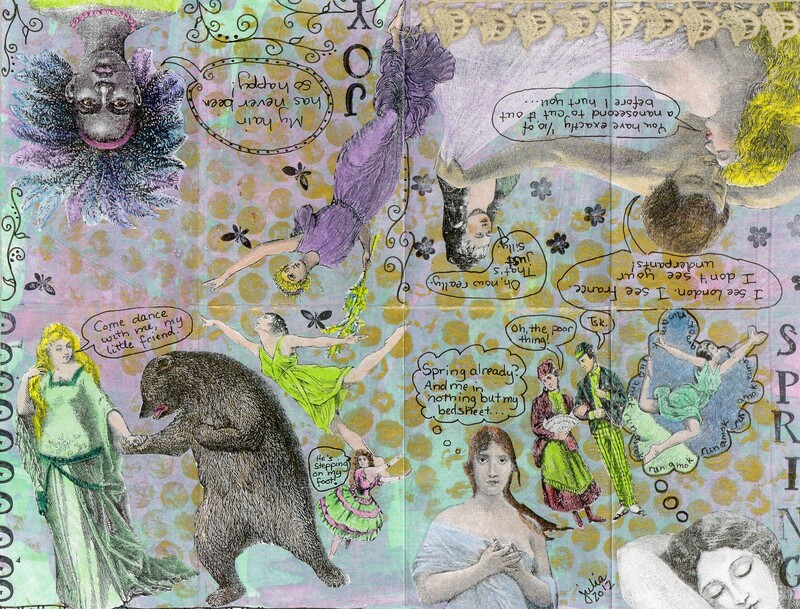 I really like the pastell colors she used in this one – and all the little figures and speech bubbles! 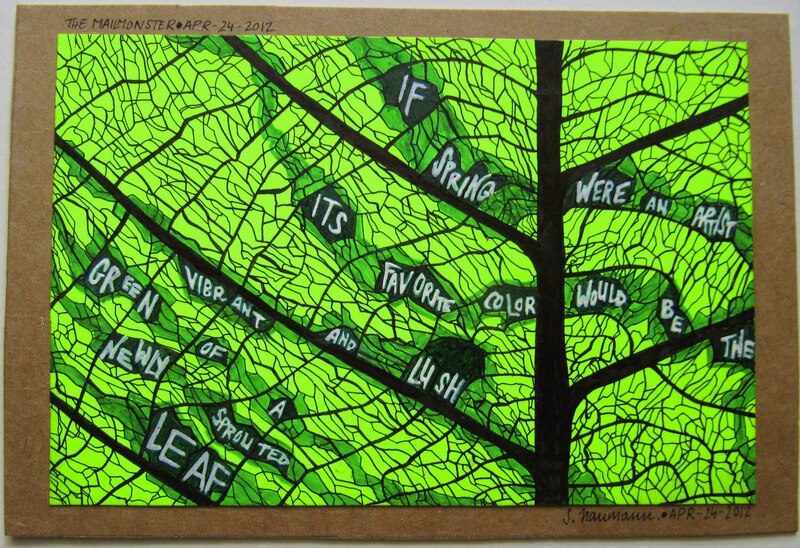 I hope you enjoy it just as much as I do, so that you can excuse my posting of spring-themed mail art in mid/late-September.